Rubbish Works of Portland is a 100% woman-owned hauling and recycling company. We love helping clients experience relief and freedom from their excess clutter with our done-for-you cleanup service. Being social and environmental stewards allows our clients to have peace of mind knowing we place high priority on charitable donations and keeping recyclables out of the landfill. 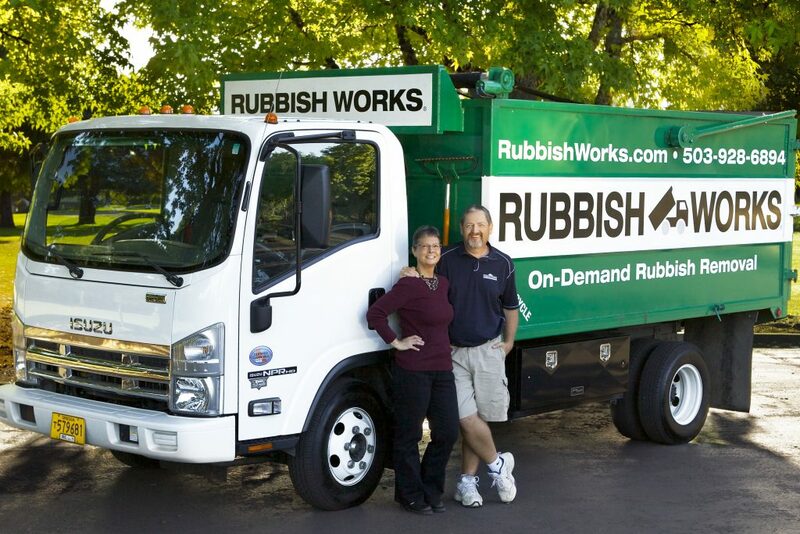 You can count on the Rubbish Works team for guidance, certainty, and rapid results. Our unique approach to service adds a high-touch, human element — managing stressful situations with compassion and respect, with no emotional charge. Through our structured, refined process, we commit to professional, transparent, and timely communication beginning with our very first interaction. Rubbish Works’ tailored service ranges from the pickup of a single item to full property cleanouts. Up-front pricing includes the crew, truck, labor, and disposal. No-obligation consultations and on-site quotes provided at no charge for any size clean up. Our Portland location proudly provides service to the Greater Portland Metro Area. Cities include: Banks, Beaverton, Cornelius, Forest Grove, Gladstone, Hillsboro, King City, Lake Oswego, Milwaukie, North Plains, Oregon City, Portland, Sherwood, Tigard, Tualatin, and West Linn. It would be an honor to assist you, your family, or your clients. We’re here to help! Please call our office 503-928-6894 to schedule an appointment or book online today. Senior and Veteran Discounts Available.